Every plant has an ideal soil environment for optimum growth. One of the measurements is the soil's pH level. Either a soil is completely neutral, more acidic or more alkaline. Certain parts of the country, because of the geology of the land is either too acidic or too alkaline. Here in northern New Jersey, our soils have more often than not, a pH level that is too low for optimum growth of turf grass. This can easily be corrected by applying a special application of pulverized lime to your lawn. Adding lime to the soil's surface will in a short period of time, work its way down into that layer of top soil where the roots of your turfgrass are most active. Here the lime will break down and help balance the soil's pH level to that optimum growth range for growing grass. We may recommend that your soil should have a lime application so that it creates a better growing environment for your grass. Whether or not your lawn needs this application is determined through a simple soil test. 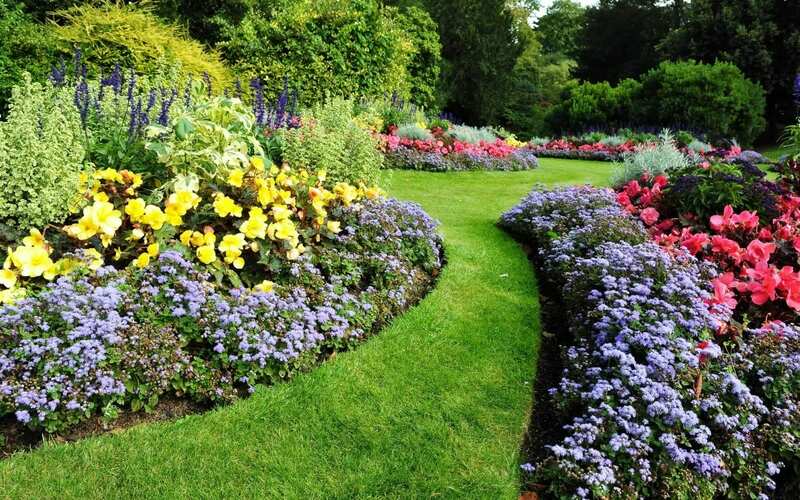 Not all lawns will need this treatment. Lime can be applied either in the spring or fall, but we prefer to apply it in the fall. Ticks in and around your landscape can pose serious health risks to you, your family and your pets. We can help reduce that risk when you request our tick control application. This additional service treatment will effectively control the ticks in your lawn through the summer months. If you live near open fields, woods, or park lands, you should seriously consider adding this service as these are ideal breeding grounds for this problematic pests. While not all ticks carry Lyme disease and other harmful diseases, there's no way of knowing the ones that do. Why take chances. Make your lawn safe all summer. Call us today to request this additional service. Whether you're lawn has been neglected for years or you recently purchased the property and it's former owner neglected it, or maybe drought has taken a toll on it, you've made up your mind that it needs help. The amount of revival required and the steps to accomplishing it depend on how much damage there is. We can help no matter what the degree of repair needed. For most situations we suggest a thorough thatching to remove as much of the accumulated dead and woody matter that exists on the surface of the soil. Once your lawn has been dethatched, we then aerate the lawn completely. This loosens up the soil making it easier for seeds to take root, making it easier for fertilizers and water to penetrate down to the root zone. Next we overseed with a high-quality grass seed that is best suited for your property and its conditions. We then lightly roll the surface making sure all of the seed is making good contact with the soil. Then we apply a special starter fertilizer designed to provide the optimum nutrient levels for a new lawn. Once done, it is vital that your lawn receive proper watering to ensure optimum seed germination and establishment of the lawn. (Please see our section on watering for complete details). This procedure done at the right time of the year with proper watering creates the perfect chemistry for a lush, green and healthy lawn. Call our office today if your lawn is in need of help. Sometimes a neglected lawn just needs a good season of regular fertilization. Sometimes it needs complete renovation. Before you decide, get some professional advice. We can help.